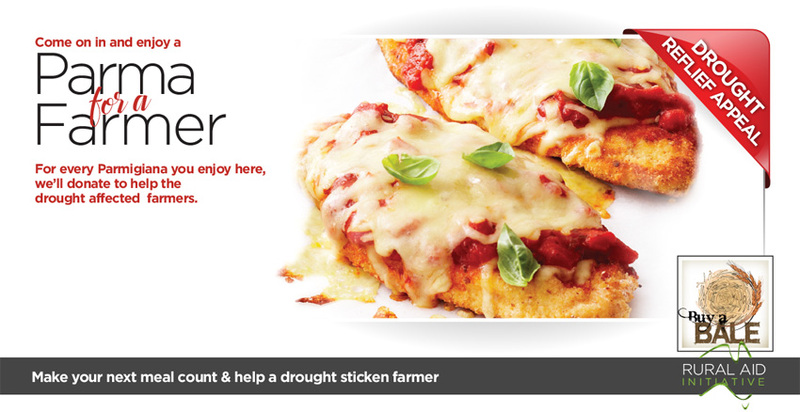 Pubs across Australia are leading the charge to help farmers struggling through one of the worst droughts in decades, with fundraising programs such as ‘Parma for a Farmer’ sprouting in every State. Recent coverage of the plight of rural areas in the eastern states has brought awareness of the dire conditions facing many farm-holders, who report no decent rain in over a year. Starved livestock are having to be put down, and fine surface soil blowing away in the wind is increasing erosion. Just over a week ago concerned citizen Amanda Kinross had an idea for how another Australian icon, the humble pub, may be able to help people help the farmers, and Parma for a Farmer was born via social media. The initiative is in support of Buy A Bale – a charity for rural communities that has helped deliver more than 160,000 bales of hay across four states since 2013. Since Kinross’ initial post on Facebook there has been nothing short of an avalanche of pubs registering their interest to help, with the number of venues already in the hundreds. 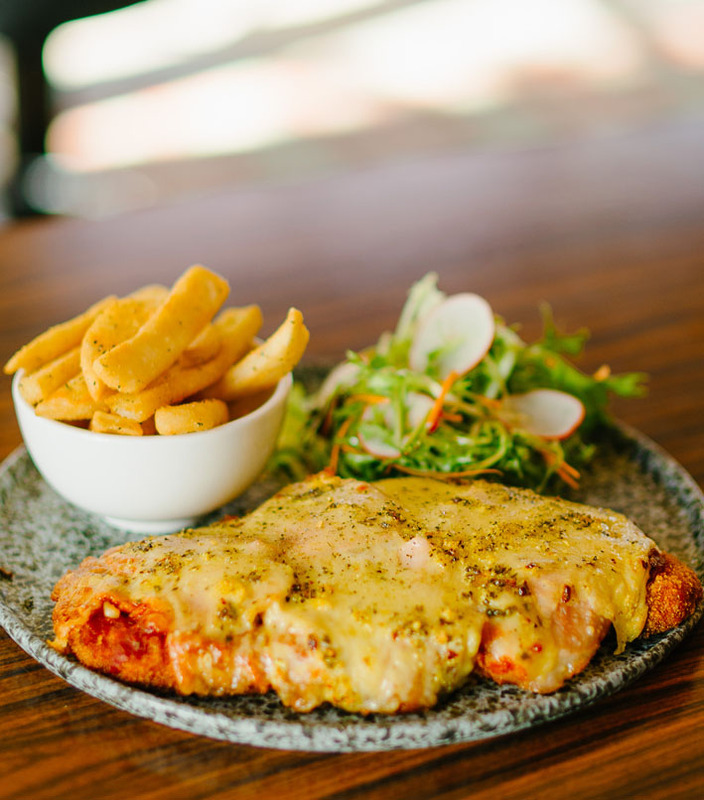 Australian Venue Co has announced its 60+ pubs and restaurants throughout NSW, Queensland, Victoria, Northern Territory and Western Australia will all be donating $1 from every chicken parma sold throughout August. The very socially conscious Alistair Flower was quick to act, registering last week and selling 327 ‘farmer parmas’ on the first day. “That’s $327 from one Thursday at one (very good) pub going to assist in the costs of supply of feed and transport in rural areas otherwise stricken,” offered MQ’s Nick Butler. The Queensland-based Comiskey family have close ties to the farming community. Paul Comiskey, father to Group CEO Robert, grew up in Emerald and his family are all farmers and cattlemen. “I know that a lot of our farmers are experiencing one of the worst droughts in Australian history, and we want to support them in whatever way we can,” says Robert Comiskey. The family operate Eatons Hill Hotel, Sandstone Point Hotel and Beachmere Hotel – all of which sell bucketloads of parmas. For every one sold, $2 of the sale will be donated to Buy a Bale. Regional newspapers are awash with stories of local heroes registering to be part of the program. 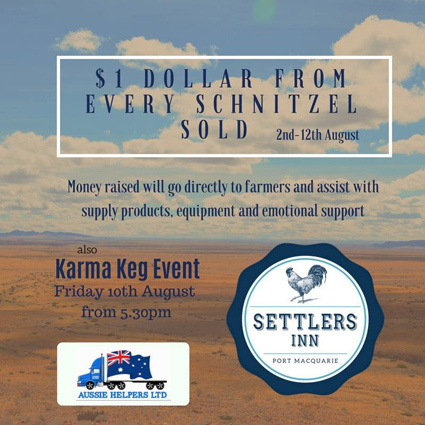 The Great Western Hotel in the rural Victorian town of Great Western launched its own Farmer Parma drive, and for the remainder of 2018 will donate $5 from every one sold to Lions Club of Australia’s ‘Need for Feed’ program, supplying emergency fodder and transport to farm communities. The Wimmera region pub reports almost $500 raised in its first three days. And despite the low rainfall mostly affecting the eastern states, Western Australian pubs and taverns have been similarly quick to respond, and the AHA reports more venues joining each day. “It is deeply heartening but not surprising to see so many venues participating in this worthy cause,” offers AHA WA CEO Bradley Woods. “WA’s pubs, bars, restaurants and taverns regularly undertake fundraising activities to help out those in need.